MENGO – Parakeets defeated Yap Stars 6-0 in one of the five Futsal Super League games played on Thursday evening at the Mengo Grounds. 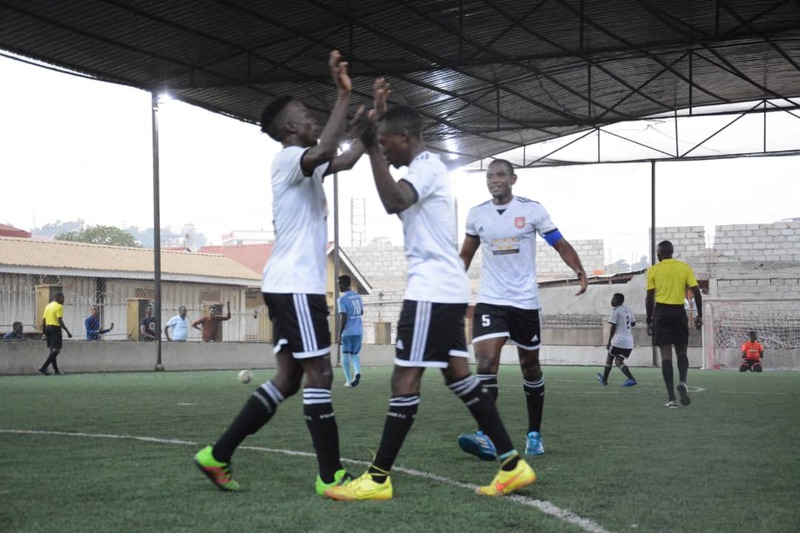 Boris Onegi and Arafat Ssentongo each helped themselves to a brace with Joseph Abigaba and Ivan Othieno scoring the other goals on an evening that everything seemed to go Parakeets’ way. Despite the heavy score line, it was not all roller-coaster for Parakeets as they led by only one in the first half thanks to Onegi strike. It was in the second that they ran riot, scoring five more to ensure that they (Parakeets) will be top of the pile by kick of the first ball on Match-Day 12. For Yap, they remain third from bottom with only six points from their first 9 games. Elsewhere, Omar Hitmana struck twice as Equator powered past Nomad 3-2 in the first game of the evening. 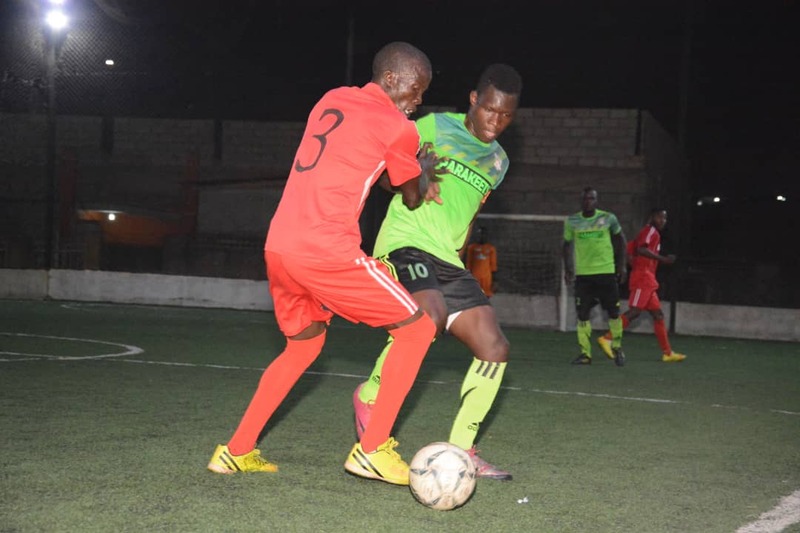 After Abraham Tusubira had put the day’s victors ahead early in the first half, Ahmed Abdifitah had leveled the scores for Nomad to ensure a nervy last period. The other Nomad goal came via Hitmana putting through his own-net. The result sees Equator limb into 9th with 11 points while Nomad remain 7th with 14 points. The other heavy hitters on the day were Typhoons who drubbed Elephants 7-1. The seven goals scored by the pair of Stephen Bikamate *4 and Umar Ssebulina *3. Elephants consolation came via Francis Owonda who leveled scores early in the first half. Typhoon are now 5th in the standings with 16 points while Elephants remain rooted at the bottom of the log having gathered only 4 points from their first 9 games. In the match between Yeak Kabowa and Bajim, there were 9 goals shared between the two sides. Kabowa ran out winners scoring 5 of the 9 with the winner coming off Shaficc Avemah’s sweet left-foot, his second on the night. The other scorers for Kabowa were Enock Sebagala, Ronald Nasamba and Andrew Kayanga. For Bajim, their four goals were scored by Ssekiganda Ronald *2, Derrick Mubiru and Franco Sunday. The day’s last piece of action saw defending champions Dream overcome Aidanl 4-1. John Kintu struck twice in either half to ensure that Dream move into 6th on the log while Aidenal’s lone goal was struck by Moses Kagwa. Aidenal remain 11th on the log with 9 points while Dream have now accumulated 15 points from their first 9 games.